The last few days have been pretty much excellent.. Most of yesterday was spent in Guildford, looking at properties.. I think it gave us a good idea for the way in which the “How close is it to the town centre?” and the “How nice is it?” variables interact with the cost of the property. It’s scary that for Â£100 more than we were paying in Bristol, you can get a cold, bare room with a window that looks out across an alley towards other buildings, with fittings from many decades ago.. Guildford is not a cheap place. I think we’ve found somewhere we like, but it’s all about getting the right price for it now, since it currently costs a little more than we’d ideally like to be paying..
Then Tuesday was just f’king awesome.. I got tickets to the Graham Norton show, where the typical quality of guests lately has been along the lines of Frank Skinner, Tom Jones, Alan Carr, Ricky Gervais.. To be fair, while I might appreciate the chance to say “I saw them”, these aren’t exactly people that I’m aching to see or anything, so when I got the tickets I had reasonably low expectations.. 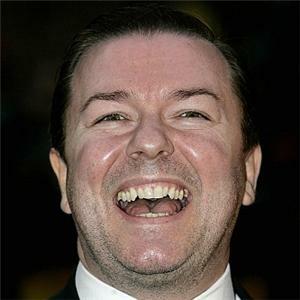 There is nothing wrong with Ricky Gervais.